British Taekwondo’s Development Team exists to support clubs, coaches/instructors and grow participation. If you need help with developing an action plan, writing a funding bid, setting up new classes or applying for planning permission – we can help. We encourage all Taekwondo Clubs to work with our Development Team and the local County Sports Partnership to attain and retain Clubmark Accreditation. Clubmark Clubs are easily identifiable as they display the Clubmark logo. For more information, including a list of criteria and many useful templates, visit the Clubmark homepage. 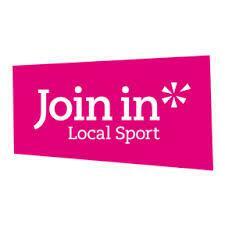 Club Matters, is a new One Stop Shop for support for sports clubs. It brings together Sport England’s existing support for clubs; including Clubmark, Club Leaders and Help for Clubs to create a single, integrated, free support package for clubs. Club Matters provides support, learning and guidance on all aspects of running a club ‘large, small, formal or informal’. It supports clubs through online support including e-learning modules, toolkits and quick reference guides, face to face support including local seminars packed full of practical resources to help develop clubs and an enhanced mentoring scheme to provide more personal support. For more information visit the Club Matters homepage. There are 45 county sports partnerships (CSPs) covering England. They are networks of local agencies committed to working together to increase the number of people taking part in sport and physical activity. CSPs provide information and guidance to local clubs and coaches, including funding organisations to deliver more activity more often. They are led by a central team of people whose job it is to provide leadership and co-ordination of the network. All Taekwondo clubs should register with their local CSP and start to benefit from their local knowledge and support. For more information about your CSP, visit the CSP Network website. 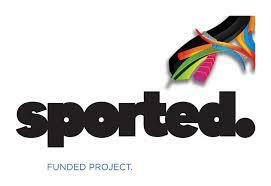 Sported is a free membership organisation that supports community sport clubs and groups across the UK that deliver Sport for Development. Taekwondo clubs can use the power of sport to tackle the root causes of some society’s biggest problems – crime, anti-social behaviour and obesity, to name but a few. More than that, they give disadvantaged young people the opportunities, confidence and support to overcome their personal hurdles and succeed in life. For more information check out the Sported website. National Council for Voluntary Organisations (NCVO) and Volunteering England offer advice and support for volunteers and clubs that rely on volunteers. Clubs can register for free and access a host of information from the Volunteering Good Practice Bank . 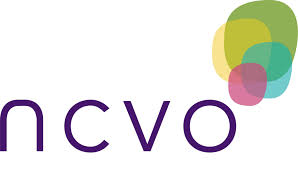 The NCVO website has a section for volunteers which includes where to find volunteering opportunities and reasons why people should volunteer. Log on to their websites for more information that affects volunteers and volunteering: NCVO and Volunteering England. If you know what skills you are looking for, your club can advertise for volunteers on www.do-it.org and www.joininuk.org. Do-it is the national volunteering database and has over 700,000 registered volunteers and around 1,000,000 opportunities to volunteer. If you need help to create a task description for your volunteers, contact British Taekwondo’s Development Team. Sport England is focused on helping people and communities across the country create a sporting habit for life. Over £1 billion of National Lottery and Exchequer funding has been invested between 2012 and 2017 in organisations and projects that can make a positive contribution in getting more people active. For more information check out the Sport England website. If you start working for yourself you’re classed as a sole trader, even if you’ve not yet told the HMRC. Check out the HMRC website for advice and support on how to register your business, and follow the appropriate rules for tax and National Insurance. 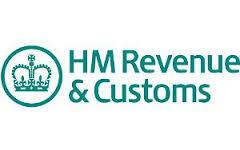 There are also a number of really helpful HMRCgovuk short videos available on their YouTube channel.